So much is happening that it is very hard to keep up. There is so much to blog about that it’s hard to decide what to write, but in order to stay good on Bekah’s promise, I will stick to the chronology and write about Saturday; the day in which we went high up into the Andes mountains to visit the Aymara villages. Winding road through the desert mountains. It was an extraordinary day. As you can imagine, these villages are remote and hard to get to. 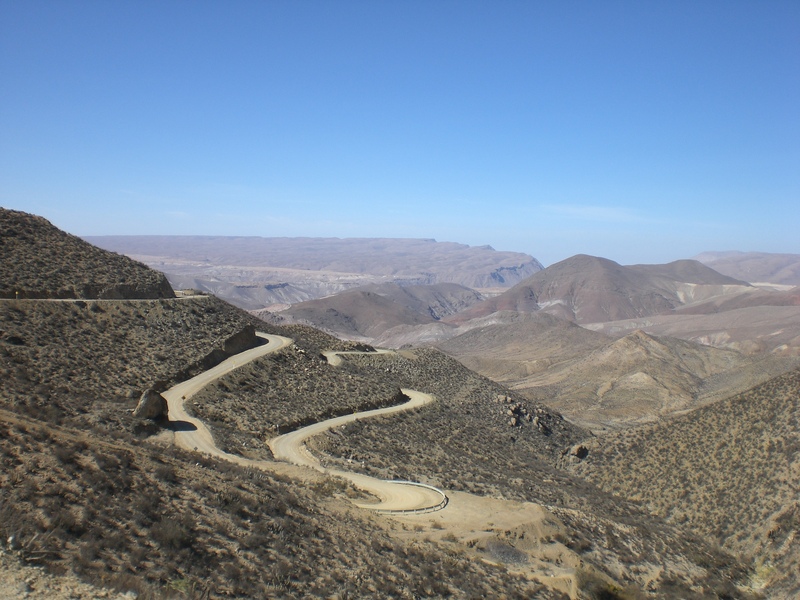 It takes about four hours to get from Arica to Ticnamar if you make no stops, but if you’re going to travel like the locals you have to make stops. Our first stop was with the Carabineros, a.k.a. the police of the area. It was a unique experience that deserves its own reflection and possibly its own blog, but it stands to say that in most Latin American countries you simply hope to be left alone by the police. In this location, however, there are three of the policemen who are fellow believers (I believe thanks to Marcelo). So when we stopped (going and coming) they had bread ready for us to eat and offered us coffee and tea. It was a real blessing to meet them and talk with them. From there we continued on to the villages which sit at around 3,200 meters high (10,500 feet give or take). So needless to say we were winded at times. We first went to the end of the way to Ticnamar and met with the medical worker (Baptist believer) there. He gave us a long talk about how we must be culturally sensitive to the Aymara. We can’t come in trying to change them, we must first learn and live with them. 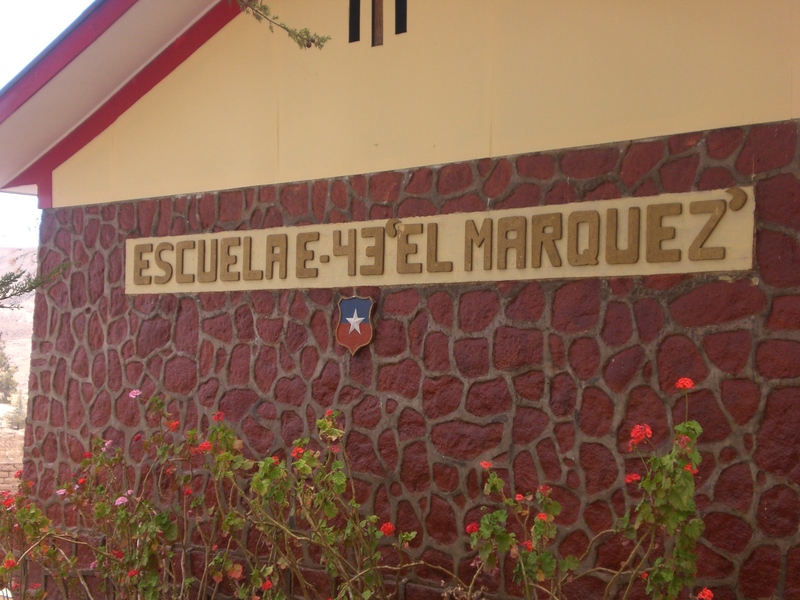 After exploring around Ticnamar some, we backtracked to Belen (Bethlehem) and met with the medical worker there (also a believer) and Maxima, an Aymara believer, who will also be helping us learn a little Aymara when we arrive. We shared lunch with them (by this point it was 5:00 PM!) and heard their stories; once again they deserve seperate reflection and blogging. We were blessed greatly! 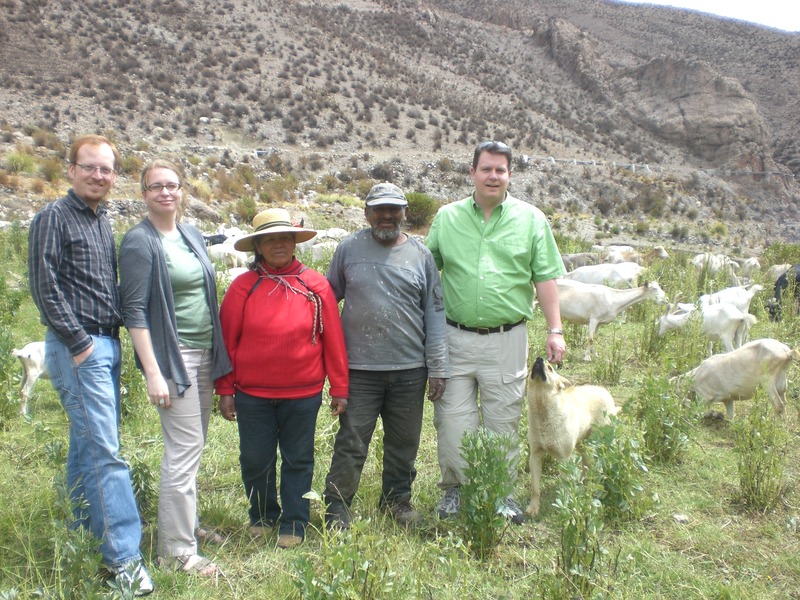 Us with the Aymara couple and their goats. Lastly we met with an Aymara couple who were pasturing their goats. On the way out of town Marcelo saw them out in a field and so we hiked down to see them. It was a tough walk down, especially given the fact that a.) Bekah was wearing sandals and b.) we were climbing up and down a mountainous terrain at such an elevation. But it was fantastic to get to see first hand just a small portion of the life of a typical Aymara couple. They were so happy to just have some company. We loved how smoothly the Aymara lady could go from yelling “Muerdela, muerdela, ataque, ataque” (Bite it, bite it, attack, attack) at her herding dog to smilling from ear to ear at our conversation. They were such a sweet couple, and I look forward to meeting them again! Clearly this short blog doesn’t do justice the day we had Saturday. There is no way to record everything that took place, all the emotions we felt, or all the stories that were shared. Even so, I hope that this quick survey helped you feel just a little as we did as we toured around the high Andes of Chile. Over and over again Marcelo told us we must be crazy for coming here to work. Over and over people have made reference to Jesus’ call to make disciples even to the ends of the earth to go on to say that these really are the ends of the earth. Why, they ask, would we want to come here? Because I couldn’t imagine us being anywhere else. Aww! What a blessing to have confidence that you are exactly where God has called you to be. Love it.